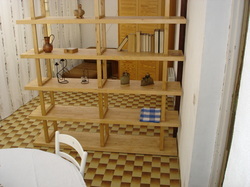 The kitchen allows you to cook for your family whilst on holiday. 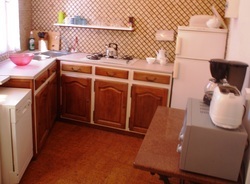 There is a large fridge/freezer, a microwave, toaster, coffee machine and a 5 ring gas hob small dishwasher. Cutlery, Crockery, Glasses etc are all provided. The lounge contains a three seater sofa and comfortable rocking chair. There is an electric convector heater for colder days and a TV , DVD player and a CD radio player. 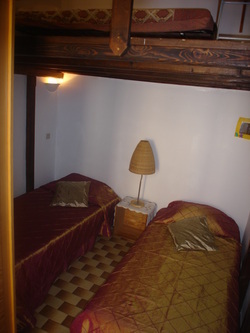 This double bedroom is located at the front of the house. 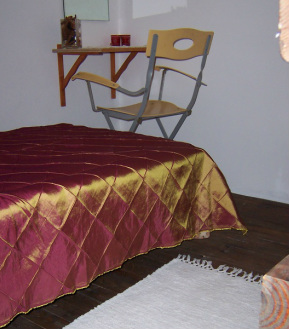 It has an old style french bed as seen in the picture. 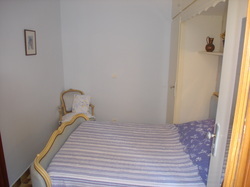 This second bedroom contains two single beds and, on the mezzannine a single bed suitable for the younger members of the family. Mezzannine in Bedroom 2 . 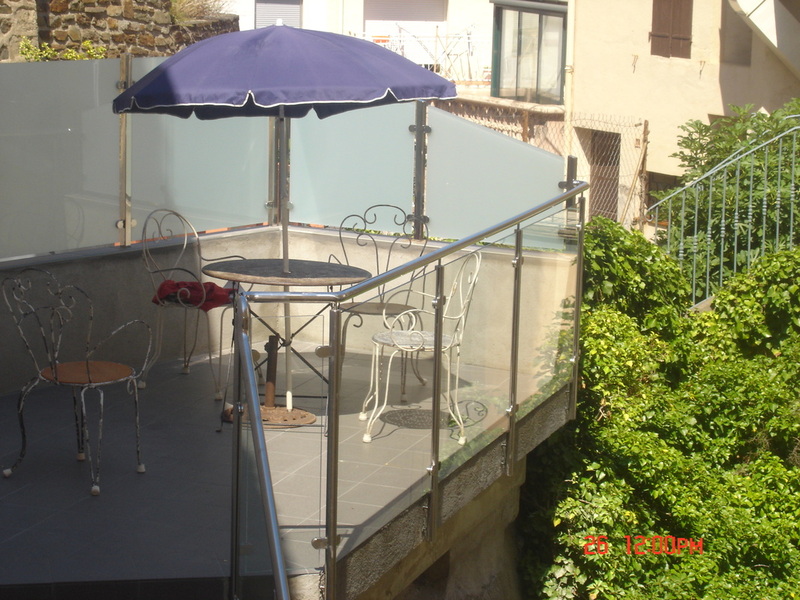 The glass covered terrace has fully opening glass doors and provides an excellent eating area. 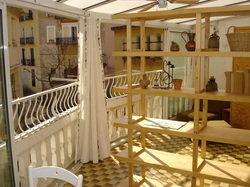 The terrace also provides via a chair bed the opportunity to sleep a sixth person if required. 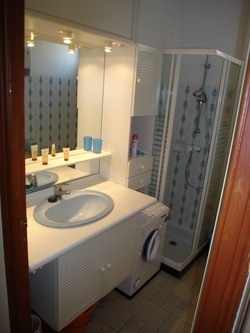 The shower room has an electric rasor point and a small washing machine, 4 kg, ideal for your holiday t-shirts, shorts and swimming costumes. All that is needed in this hot mediterranean climate.